Living in a concrete jungle is always a taxing experience. You may get all the artificial pleasures money can buy for you, yet the satisfaction, the fulfillment eludes you. Hence, people throng to resorts, water parks, treks or other natural avenues which help them forget their concrete evidence and the price coming with it, if even for a couple of days. 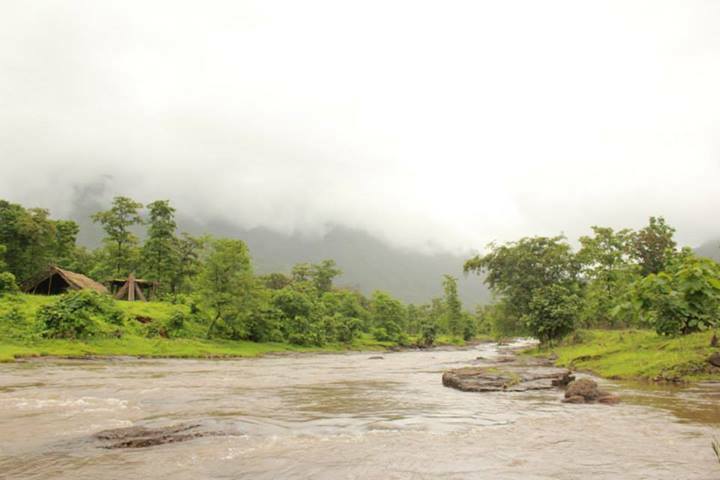 Mumbai that way has been blessed with such natural getaways. From Karjat to Lonavala to Vasai-Virar, the options are galore. Yet there are some quaint, remote attractions, away from our knowledge, from our consciousness; places that force you to measure your life back, places that make you forget your five grinding days of life, places that bring you closer to nature. One such place would be the riverside (if that can be called as a river) of Pivri village in Shahapur Taluka. 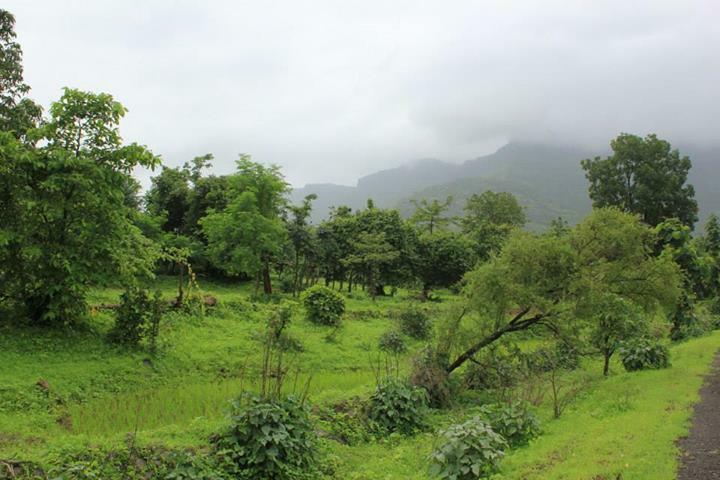 Located nearly 80 kilometers away from Mumbai, this silent village is remotely situated. To reach here you will need to cross the JSW Steel Works factory on the Mumbai- Nashik Expressway at Vasindh, and then take a left towards Essel Propack (if you are going towards Nashik)by deflecting onto the service road. Thereafter you simply continue your long seemingly unending ride amidst the shade of trees and the silent jungle dotted here and there with some rural habitation. The streams flowing with the fresh river water are excellent places to stop over and acquaint yourself with nature as it is. The feeling is amazing when you force your naked feet against the stones, managing to balance yourself and sit silently for moments together as the cold flowing water washes down your feet and you have only the peace of the jungle trees to listen to. Continuing together, you will reach a spot, where you will see a blue coloured board proclaiming “AashramShaala Pivri” in Devanagiri script. Take that right and continue right till where the road takes your vehicle.At the end, you will see a small river like body; park your vehicle there and cross over to the other side and continue walking for as long as you like besides the river like body. The water isn’t deep, but a slight force is there, hence it is advisable that you exercise precaution if you do not know swimming. Yet, the beauty is such that you will want to lose yourself out there. Flanked by the mist and cloud covered mountains on one side and by the greens on its two sides, this place is a perfect insignia of harmony with nature. It is also the perfect setting for a small picnic with your friends as you have ample dry places to unload your stuff. I and my friend simply sat there on the stones as the cold flowing water washed away our bodies. At some distance were some village kids swimming and jumping into the water unmindful of the tensions and negativities abounding beyond these greens and living life to the fullest. Though I wouldn’t exactly recommend this place for a couple or to a family, it definitely figures out for those who simply wish to embrace nature, and for small group of friends just willing to have some fun and joy in a quarter of a day and come back. Also, this place is worth visiting only when monsoons are in their full force.